Possible Defenses for a Debt Collection Lawsuit | The Consumer Law Group, P.C. Being served with legal papers is a frightening experience. When it comes to a debt collection lawsuit, many people automatically assume that they must be in the wrong so they do not take steps to defend themselves. What many consumers fail to realize is that they may have a legitimate defense against the lawsuit, even if they do actually owe the money. Hiring a debt collection defense attorney will save you a lot of time and trouble, but there are steps you should take right away to defend yourself. Who Is Suing You for Debt? The first thing to understand about debt lawsuits is that you may be sued by a creditor or by a debt collector and your options will depend on which entity is suing you as each falls under different regulations. 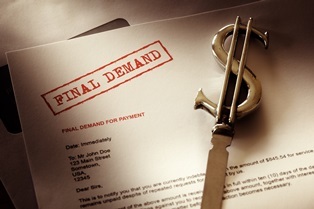 We are taking a look specifically at debt collectors. A debt collector is often an entity that has purchased your debt from either the original debt holder or another debt collector. They are legally obligated to keep certain records and to follow certain rules. When they fail to comply, they provide you with an opportunity to defend yourself. The collector’s right to sue. A debt collector must be able to prove that they have standing to sue in their own name. They must provide evidence of the transfer of debt to them. If they can’t provide the proof of the chain of custody of the debt, they cannot sue you. Validity of the debt. Demand to see the original signed agreement and balance owed. Often, debt collectors do not have this document and therefore cannot prove that you actually owe this debt. Statute of limitations. Creditors or debt collectors have from 3-5 years to sue for debt from the date you first defaulted. If they are past this deadline, they can no longer sue you. They may still try, hoping you do not show up in court, and if they do so they violated federal law. Countersuit. If the debt collector has violated statutes of the Fair Debt Collection Practices Act, you may be able to countersue and win damages. If a debt collector is taking a shot in the dark by filing a lawsuit against you, filing an Answer to the suit may be enough to stop it. However, the process will likely be more complicated than that and you will need an attorney to advise you on the best approach. If you have been sued for debt you don’t think you own, contact the Consumer Law Group.